Now I went tell you about the Grammy Award. And this one a no fraud. Tell you about the Grammy Award! Reggae get the Grammy, eh! Me still feel happy! Lord! the nominated five are we. Peter Tosh and also Jimmy. Me a the only DJ ina the company. Black Uhuru get the Grammy Award! Reggae get the Grammy! Lord! there is no business I know! as them come out crowd of people start scream! Cindy Louper and Tina Turner. everybody shout out what a thing! 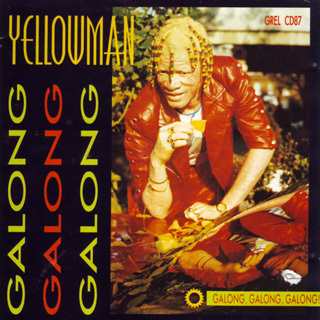 As they sight Yellowman them say good looking! Me a tell you about the Grammy Award! ina Jamaica and also abroad. Hear this a one you hear it pon the record. and a Grammy for me, eh! and a Grammy for me. the nominated five are we, ina the category. even Peter Tosh and also Jimmy. Me a the only DJ ina the category. And me still feel happy! Lord!